If your little girl is a LOL fan then she is sure to love this Combi Castle. 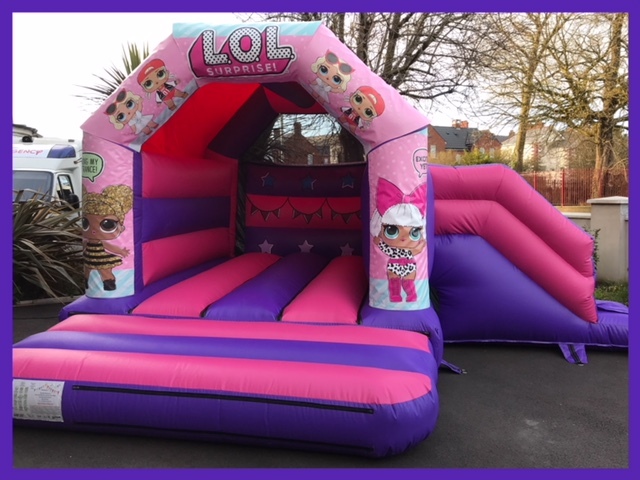 A great inflatable to have at any party, with its pink and purple "LOL" themed artwork. The LOL theme will be loved by the Girls and is a great choice for children up to 13 years of age.